I fit in with other people, but I can not talk. I create pictures, but I can not see. What am I? 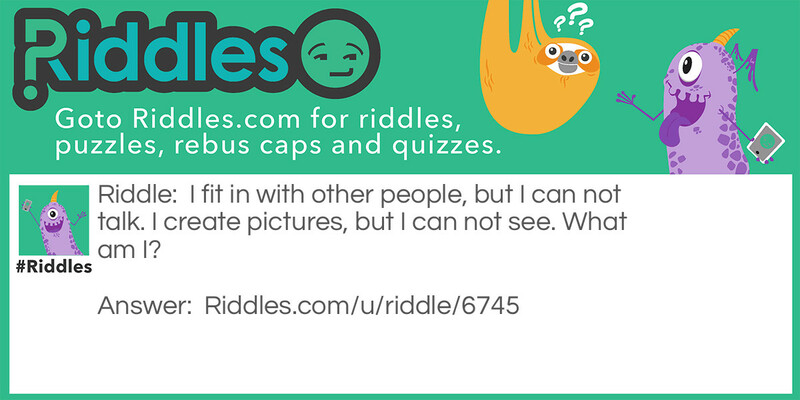 I’m so cool Riddle Meme with riddle and answer page link.